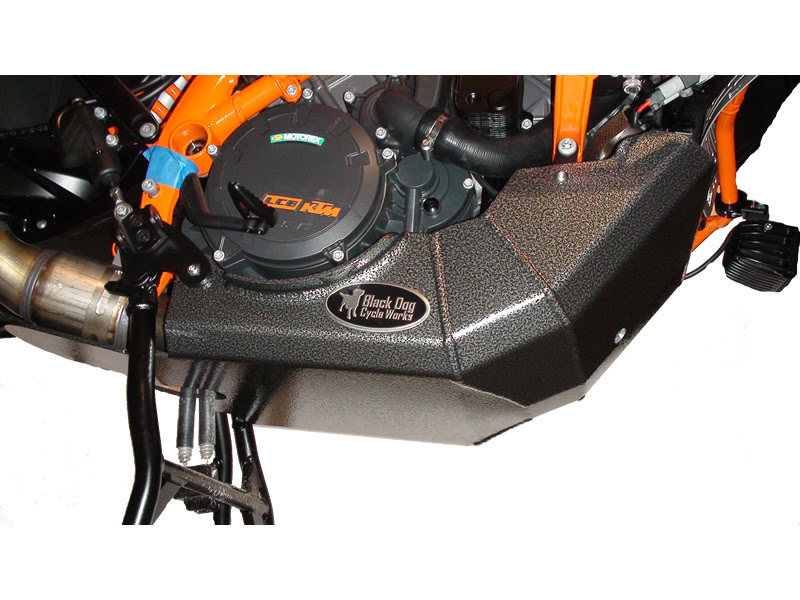 Sandpoint, ID, July 30, 2015 - Black Dog Cycle Works announces their new BDCW Ultimate Skid Plate for the KTM 1190 and 1290 Adventure motorcycles. 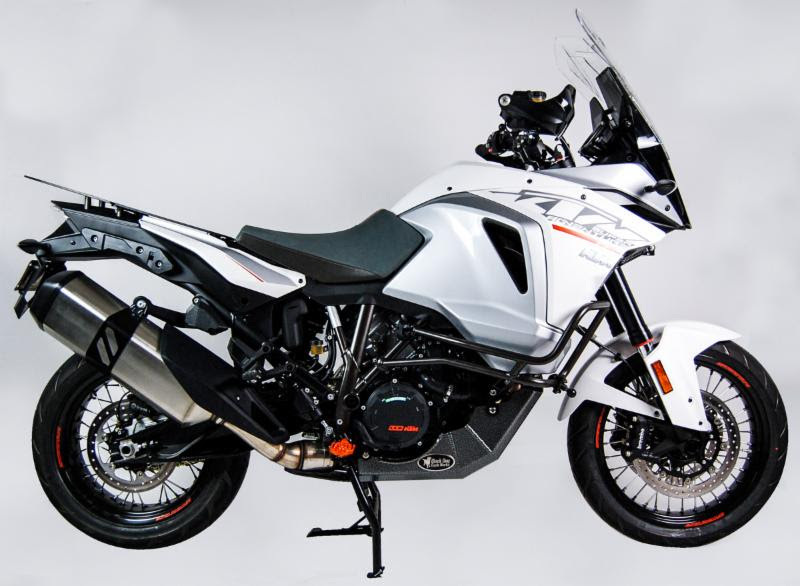 Known for their first in class skid plates for BMW and KTM adventure bikes, BDCW brings yet another unique design to the KTM market with this skid plate. With their patented side stand relocation bracket they're the only manufacturer to remove the side stand from the engine case in order to avoid catastrophic damage to the case itself. "Our approach to the skid plate market is to analyze the vulnerabilities of bikes and address these issues with our designs. Time after time we've proven this with the strongest plates on the market. This is why expert riders love our skid plates and everyone else needs them," says Kurt Forgét of BDCW. This plate fully protects the clutch, ignition cover, header pipes and catalytic converter. Integrated side stand relocator doubles the protection! BDCW has relocated the side stand from the engine case with a PATENTED relocation bracket, eliminating the risk of a broken engine case from an impact to the side stand. The optimal weight to protect, perform, and last. In fact, this plate could outlive your bike. No holes to facilitate spills or hang ups on rocks or branches. Glides over most obstacles without bolts, rivets, or "sliders" to snag or break off. This skid plate doesn't need backup support-it does the job on its own. Additional rubber bumper acts as a shock absorber against large impacts. Remove just 4 bolts for an oil change! Looks great and takes the punishment that anodized finishes can't. Made in the U.S. -Tested and trusted worldwide!! Got one! Not that there's such a thing as an overbuild skidplate... but this thing is uber-solid. Nice to not have the kickstand mounted on the important stuff too! Yeah I couldn't think of any other plate for my 990. Their new Africa Twin one is cool too and has a neat outline of the African continent cut into it.